Autumn in South Tyrol is characterized by the big Spatzenfest, which every year takes place in October. The Kastelruther Spatzen, one of the most famous bands in South Tyrol, will play together with other bands in occasion of this beautiful music festival. October is also the month of transhumances. Farmers will take their cows, horses, goats and sheep back to the valley from the moutain pastures, adorned with beautiful flowers. An event that has not to be missed not only to watch this beautiful tradition, but also to buy delicious local products at the farmers markets and to take part to the various parties around the villages. During autumn many mountain huts and farms open their doors for the typical “Törggelen”. 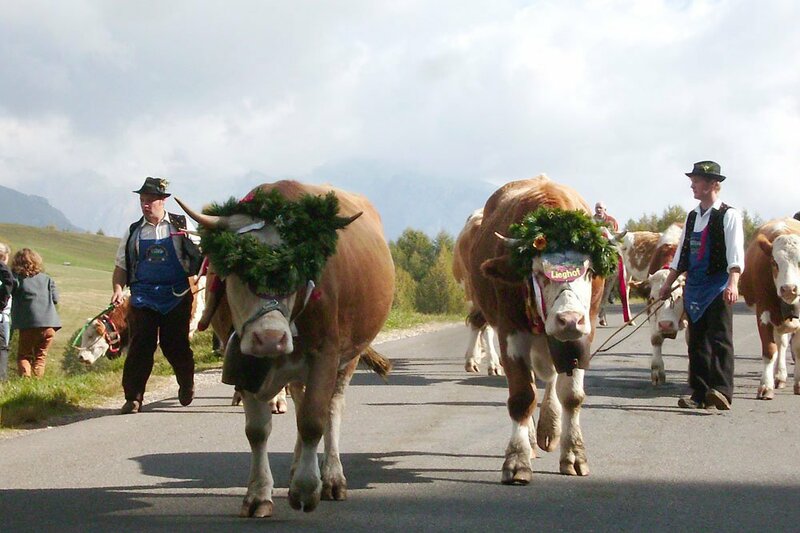 This famous South Tyrolean tradition is very appreciated by tourists, but also local inhabitants. 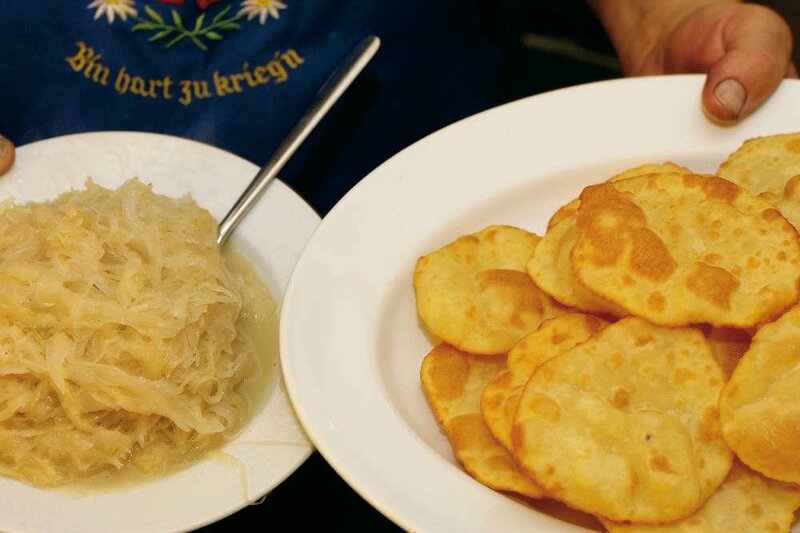 Sitting together at the tables of the ancient “Stube”, you will taste the typical local specialties like barley soup, “Knödel”, salt pork and “Sauerkraut”. Don’t forget to try also the sweet Krapfen and of course the roasted chestnuts. Your dishes will be accompanied by fresh juices and the new wine. Take advantage of farm Kienzlhof to experience this unique tradition. In fact in our surroundings there are many huts that every year welcome our guests to try the typical “Törggelen”. What to do in Autumn? Hiking on the Seiser Alm! Of course Autumn is a perfect season for hiking on the Seiser Alm. 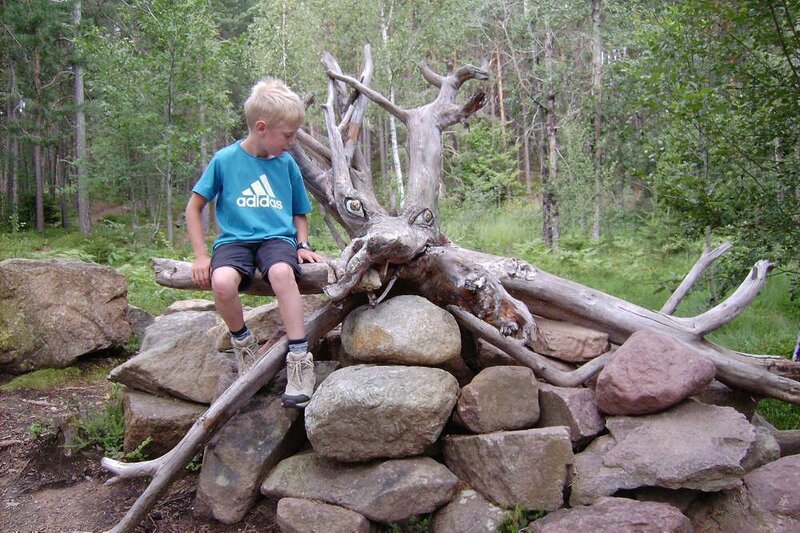 For families we recommend the Mushrooms path in the Lanzerer Wood near Kastelruth: parents and children will know everything about the world of mushrooms and can admire beautiful wooden reproductions while walking. Those who admire the steep sides of the mighty Schlern should go for a climb on them and admire the beautiful panorama on the Dolomites in front of their eyes. Climbers will find a wide range of climbing tours around the Schern. The climbing hall in Telfen, only 3 km away from Kastelruth, is perfect for trainings. The Seiser Alm – Gröden area is a real paradise for mountaibikers, who will find a ciclying path network of 1000 km and 35.000 km of difference in altitude. 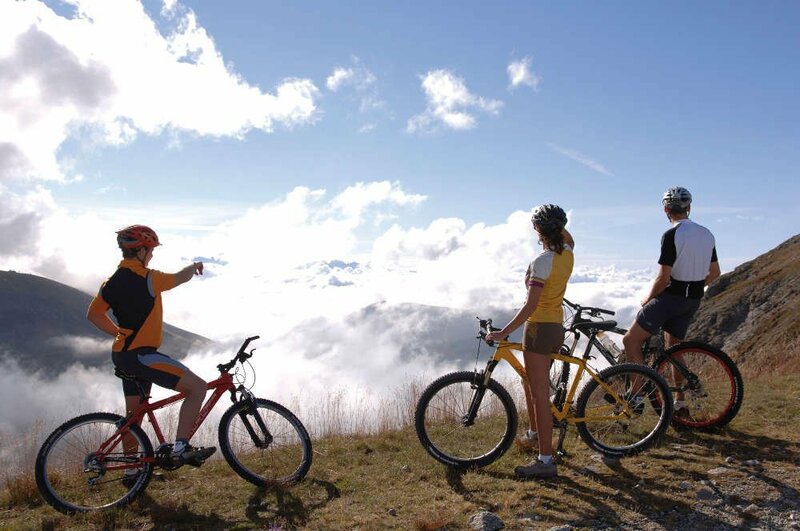 Expert mountainbikers can choose between a wide range of routes, but also amateurs will find suitable tours for their level. Between the 33 mountain bike routes there are also easy ones with a difference in altitude of 200 or 300 m.